Details have been announced for the 2014 World YoYo Contest after party! As many of us expected, the World YoYo Contest moving to the IYYF and new organizers in Prague has resulted in a MASSIVE level-up for the event and every single aspect of the contest announced so far has been an improvement! Full details are below…and make sure to get registered before the prices increase! Various parties throughout the entire week are planned, but there is only one official AFTER PARTY! 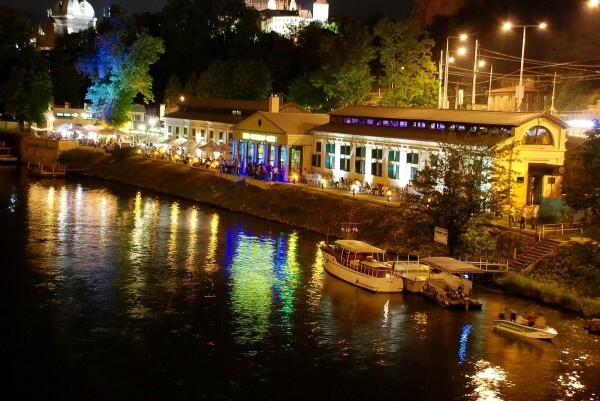 The building where we are going to celebrate the winners was built in 1840 as a public riverside spa and is currently being used as a restaurant and a club. Its location is perfect! From a river pier for quiet discussions and very popular “judge bashing”, to a dance floor for those who just want to end WYYC in a more exuberant manner. Plenty of yoyo space for throwing and plenty of drinks to replenish your energy will be available. Saturday, right after the contest (which should be around 8 PM), we’re going to move from the Archa Theatre to “Občanská plovárna”. Everyone will make the 10-minute walk together, but in case you want to find it yourself the exact address is: U plovárny 8, Prague 1 (50.093085, 14.414919). Entrance is free for all WYYC attendees.